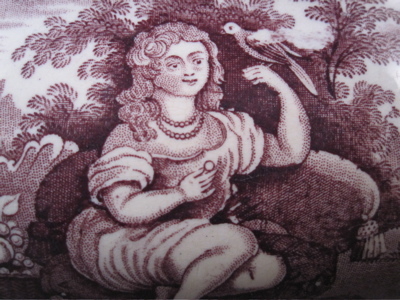 English pearlware pottery cottage-form teapot with puce transfer decoration of a girl sitting on a richly upholstered chair in a pastoral setting and holding a bird. 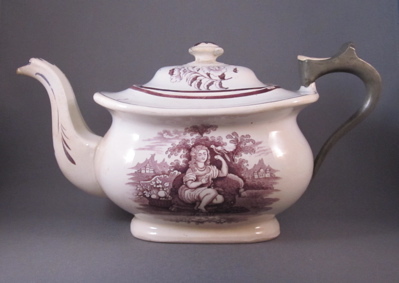 Teapot is unmarked but was most likely made in Staffordshire during the Georgian era, in the first quarter of the nineteenth century. 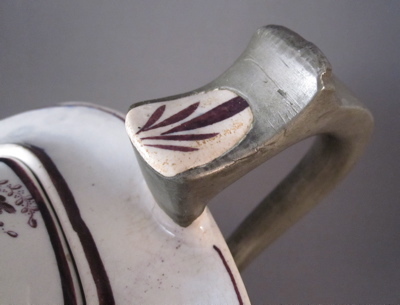 Both sides of the teapot have the same decoration. 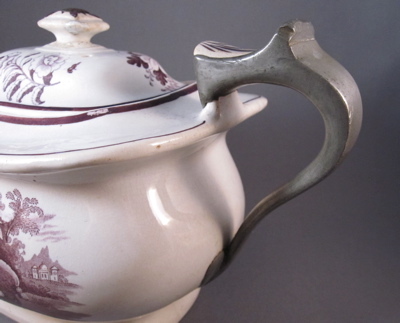 Teapot measures 10-3/4″ from handle to spout and is 5-1/2″ high. 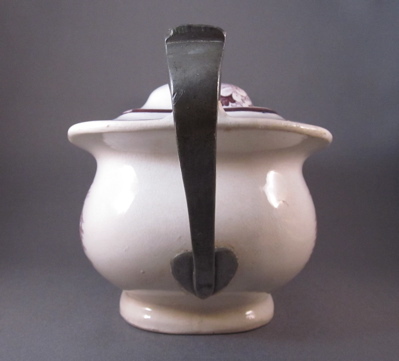 A replacement handle made of solid pewter incorporates the top remaining handle fragment and has a nice heart-shaped plate at the bottom. 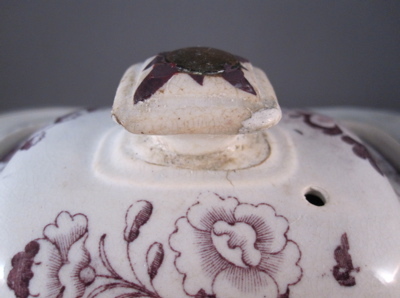 The lid also has an inventive repair, with a copper bolt reattaching the broken knob.